17 October. A demonstration is scheduled in the heart of the city, against a curfew recently imposed on certain sections of the population. There are about 30,000 demonstrators, men, women and children, many in their Sunday best, a signal of their peaceful intentions. But the reception, as they emerge from the stations and move towards their meeting place, is anything but peaceful. The police are ready for them, their instructions to pay back one blow with ten, with the assurance that whatever happens, they have the backing of their superiors. Of the 30,000, 11,000 are arrested. Some of these are herded into buses and taken to a nearby sports stadium, where they are interrogated and beaten up. Some are beaten and thrown into the river, or hung from trees and lampposts. Probably – and we’ll never know for sure – 200 of the demonstrators are killed. This happened in Paris, in 1961, to Algerians and others of North African origin, in the context of the Algerian War and terrorist activity by the FLN. That it isn’t widely known about – was barely spoken of at all until the 1990s – is the result of one of the most successful cover-ups of our time. It’s not that there were no accounts of these events at the time – the arrest, beating and murder of so many could hardly go unnoticed in the centre of Paris. But in France itself, there was rigorous state censorship – films and photographs were seized and destroyed, and journalists found their reports buried or edited to match the official line that it was a riot that was firmly dealt with by the police. This was echoed by most of the international press, who at best suggested that perhaps the police response was a tad firmer than absolutely necessary. Amongst the Algerian community, fear of reprisals largely ensured that, even as people desperately tried to find out what had happened to family members who never came home after the demonstration, their experiences were not made public. The cops were waiting for the Algerians at the exits to the Metro … [Lanzmann] saw with his own eyes how they kicked them in the teeth and smashed their skulls. Bodies were found hanging from the trees on the Bois du Boulogne and others, disfigured and mutilated, in the Seine. … Afterwards, I heard the … bare-faced lies: two dead, when we already know of more than 50. That there is now a plaque on the Pont St Michel, and films and TV documentaries about that night in October 1961, is due mainly to the fact that the person in charge of the Paris police force at the time was one Maurice Papon, who in the 1980s came under scrutiny not for his treatment of Algerian demonstrators twenty years earlier, but for his complicity in the deportation of Jews from Bordeaux almost twenty years before that. During the course of his somewhat belated trial, the connection with the massacre was brought to light. It is a mark of the success surrounding the official blackout of information about October 17 that Smith’s novel, written by a foreigner in France and published in the United States (it could not be published in France), would stand as one of the few representations of the event available all the way up until the early 1990s – until the moment, that is, when a generation of young Beurs, as the children of North African immigrants call themselves, had reached an age at which they could begin to demand information about their parents’ fate. Professional or academic historians have lagged well behind amateurs in the attempt to discover what occurred on October 17; investigative journalists, militants, and fiction writers like Smith, or the much more widely read detective novelist, Didier Daeninckx, kept a trace of the event alive during the thirty years when it had entered a “black hole” of memory. 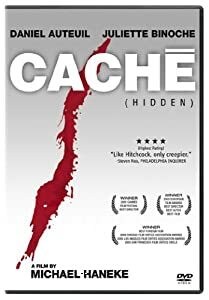 For many, Michael Hanecke’s film Caché (Hidden) was the first introduction to the 17 October massacre. There’s only a brief mention of it but nonetheless it sits at the heart of the film, a film about memory and the burying of memory. It led me to try to find out whether – as seemed improbable at first – such a thing could have happened and left so little trace. There are so many aspects of this story that fascinate. The connection between collaboration in the deportation of Jews during the Occupation and the violent repression of dissent by French citizens of north African origin even extends to the fact that an earlier crack-down on Algerian demonstrators by Papon had involved the use of the Vel’d’Hiv as a detention centre. And the fact that an event witnessed by so many could be so effectively hidden from view reflects the way in which the history of collaboration during the Occupation had to be dragged painfully into the light over decades. There’s also the contrast with the public response to the brutal suppression of a demonstration in February 1962 organised by the Communist Party – the eight who were killed became the symbols of state violence during the Algerian War. One might have thought that this would have brought the October massacre back into public consciousness, but it seems to have had the opposite effect – it was simply eclipsed. Le Monde even reported the suppression of the Charonne demonstration as the most violent state action since 1934. Why? The only plausible explanation is the fact that the October demonstrators, unlike those who were killed and beaten a few months later, were overwhelmingly Algerian or North African. Of course, the notion of an official cover-up is terribly pertinent today as we await prosecutions, 23 years after the event, in relation to Hillsborough. In both cases, what happened was both known and not known. Known because these things happened in public places, because there were eye-witnesses, photographs, films, newspaper articles. Not known because, in the case of the 17 October massacre those accounts were suppressed by the machinery of the state, and in the case of Hillsborough because no matter how often the truth was published and asserted it barely seemed to dent the falsehoods that had been disseminated at the time so vigorously by the police and others. It took forty years for the victims of the 17 October massacre to be commemorated officially. We don’t know how many of them there were. We don’t know all of their names, or exactly what happened to most of them. But the events of that night in 1961 are no longer hidden.